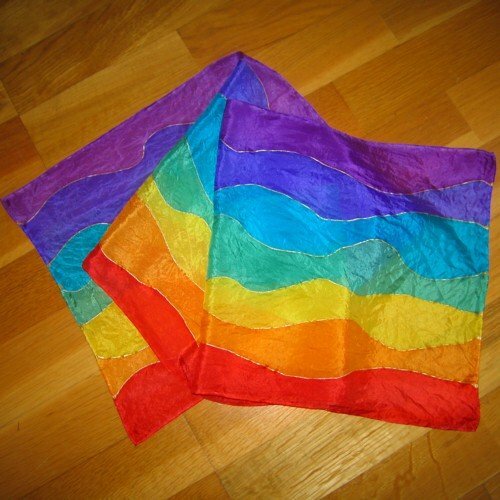 Chakra silk scarf waves small are made with a pure, slightly shiny, lightweight silk. Because of this your scarf will have a super soft feel. First of all, I paint the gold or silver coloured lines on to the scarf. Then I paint the seven chakra colours, corresponding with each of the seven main chakras. 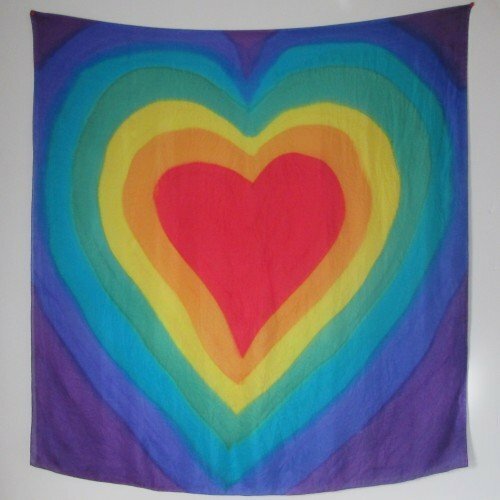 As I hand paint each “chakra silk scarf waves small”, you know that it has been ethically produced! 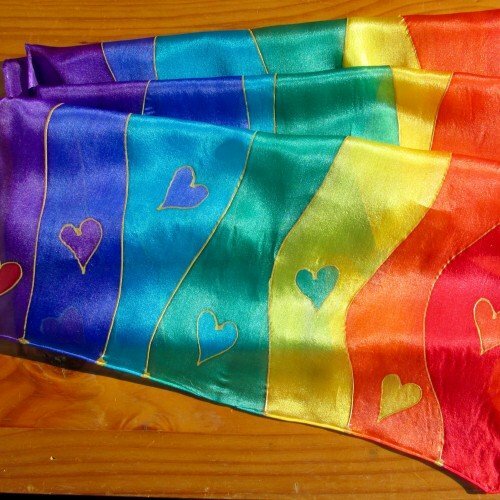 Further more, as each scarf is painted free form, so each scarf is a “one off ” and individual to you. My clients love these and they make a special, original gift. The size measures approximately 114×28 cm/45×11 inches. A larger option in this design is available too. 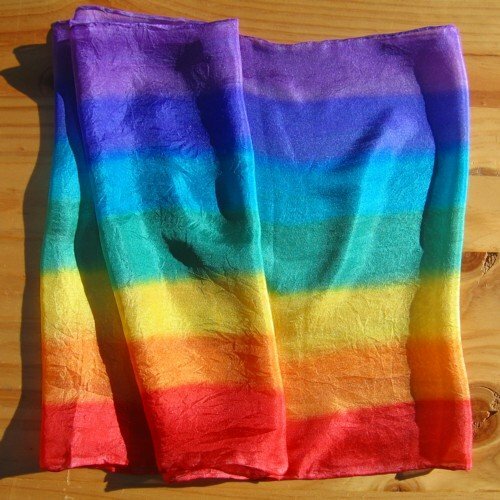 While these scarves look great displayed in your treatment room, you will also love wearing it. See the “care for your silks” page for washing and care advice. NB: Gold coloured hearts will be supplied. Though, if you prefer silver, then please email and I will endeavour to find you one! Lovely scarf, great quality, love the wave effect. Would definitely recommend.